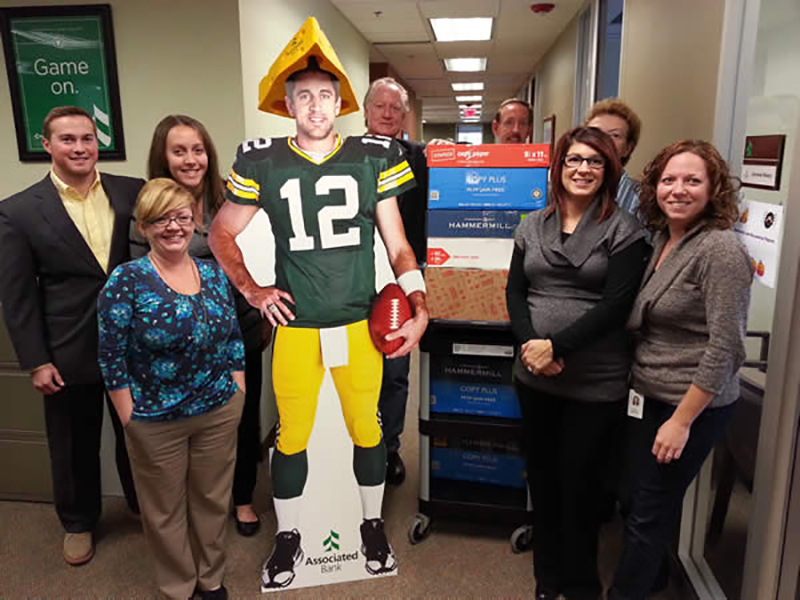 Associated Bank colleagues in Milwaukee recently organized the third annual book drive for the Next Door Foundation in hopes of giving more children the opportunity to read their own books. The Next Door Foundation was created in 1990 with the hope of giving all children in central Milwaukee, regardless of family income or education levels, support in intellectual, physical, spiritual and emotional development so they may become self-sufficient, contributing members of the community. By providing books for children to call their own, the program promotes literacy in hopes to encourage children to continue their education. Michael Finn, commercial real estate (CRE) senior regional manager, initially started the book drive after Next Door presented at their United Way kickoff breakfast three years ago. Their mission made a lasting impression that urged him to get involved. “I was quite taken with their initiative to build mini libraries for kids who were either transient or did not have good access to their own books,” said Finn. Over the past three years, the drive has collected more than 2,000 books for children. Associated also donated branded totes so the children would have a way to carry their books home and create their own traveling library. Jerry Neary, CRE senior relationship manager, delivered the books to Next Door. Upon arrival, Next Door told him their supply was running a little low, so our donation was much appreciated. “Special thanks to all of our colleagues and customers who have contributed to this program over the past three years,” said Finn.